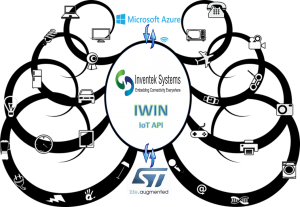 Inventek announces Amazon AWS free RTOS support with STM32L4 Discovery IoT kit using the Inventek ISM43362-M3G-L44 802.11 b/g/n compliant Wi-Fi® module running Inventek’s AWS cloud firmware called IWIN C3.5.2.x_SPI_STM. The ST Microelectronics Discovery kit and has been qualified for connection to AWS cloud. This Discovery kit is running the Amazon Free RTOS on an Ultra-low-power STM32L4 Series MCUs based on Arm® Cortex®-M4 core. 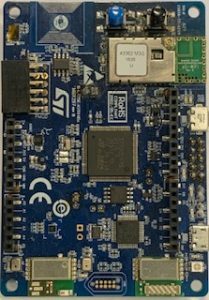 The STM32L4 Discovery IoT kit model # (B-L475E-IOT01A) uses the Inventek Wi-Fi® module programmed with our IWIN firmware that supports AWS, part number ISM43362-M3G-L44-SPI-C3.5.2.5.STM. 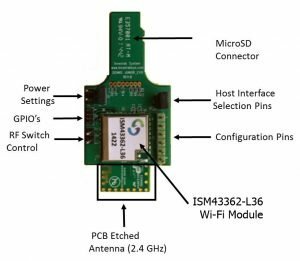 August 20, 2018- Inventek Systems announces the release of the ISM43903 low cost Wi-Fi module for IoT applications. The ISM43903-R48-L54 is an 802.11 b/g/n, FCC/CE certified Wi-Fi module based on the Cypress CYW43903 embedded wireless system-on-a-chip (SoC). The module includes a 160 MHz ARM Cortex-R4 applications processor with 1MB SRAM, 640 KB ROM, and 64-Mbit SPI Flash Memory, as well as a second processor that supports a single stream IEEE 802.11n MAC/baseband/radio, a power amplifier (PA), a receive low-noise amplifier (LNA), and antenna. Martin Tierney, Chief Executive Officer at Inventek Systems, expressed his enthusiasm for this family of modules due to the increased RAM and processor performance. “The additional memory resources and increased functionality meet the technical demands of IoT devices worldwide.” said Tierney. “Many of our customers are running into issues with the stack allocation requirements for an embedded system and having enough memory allows you to set the stack up properly, to ensure a stable and reliable system. I’m excited to see what our customers will build using the additional memory of the ISM4390x family” Underestimating stack usage can lead to serious runtime errors and heap memory overflows can have a significant impact on system behavior. These issues are notoriously difficult to debug, and as the IoT ecosystem continues to grow with additional features, security requirements and expanding cloud libraries and protocols, an emphasis must be placed on the importance of this additional memory. Stretching the limits in programming when it comes to allocated data can cause limitations without this additional memory. The advantage of the ISM4390X family of modules is the amount of RAM, ROM and flash that allows software engineers all the memory they need at a competitive price to develop their IoT product. The Intel® Quark™ Microcontroller D2000, is a low power, battery-operated, 32-bit microcontroller with a more robust instruction set than other entry-level microcontrollers. The first x86-based Intel® Quark™ microcontroller, Intel® Quark™ microcontroller D2000 also increases input/output options over other entry-level microcontrollers. Within its small footprint, the Intel® Quark™ microcontroller D2000 includes an Intel® Quark™ ultra-low-power core running at 32 MHz, with 32 KB integrated flash and 8 KB SRAM. Inventek’s ISMART (Inventek Systems Module ARduino Test), shield enables customers to select any of Inventek’s 802.11 a/b/g/n combo radio solutions and leverage ISMART’s arduino compliant EVB to enable any target MCU development kits to seamlessly become an IoT system platform. The combination of the Intel® Quark™ Microcontroller D2000 Dev Kit and Inventek’s ISMART IoT platform will enable customers to immediately and seamlessly “get connected“, and initiate Cloud based applications/demos. Inventek Systems: all the plumbing between your physical world and the internet! Inventek Systems, has joined the Amazon Launchpad Services Hub, Amazon Launchpad Services Hub, as a prototype services provider, helping to assist startups with their IoT application needs. 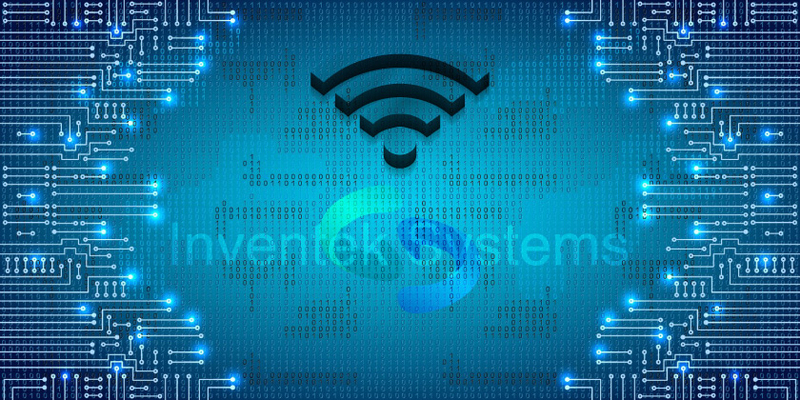 Located in Amazon Launchpad Services Hub “Prototyping” services section, Inventek Systems provides HW & SW solutions based on Wi-Fi, and BT/BLE connectivity requirements, as well as cloud-based application needs. Whether you’re a startup company developing your first IoT solution or looking to optimize integration, performance and cloud based communication/security for your next generation development requirements, Inventek Systems continues to be recognized for best in class IoT services and support. Cloudbourne’s Thing-Z Cloud Platform and Inventek’s eS-WiFi (embedded Serial WiFi), portfolio of IoT Modules provide an Ultra-Low Cost Cloud solution based on Amazon’s AWS IoT Cloud Services. The integration of Cloudbourne’s Thing-Z Agent and Discovery process in combination with Inventek’s proprietary IWIN (Inventek Wireless Interoperability Network), software and Inventek’s eS-WiFi IoT portfolio, enables customers to easily and seamlessly manage all associated MQTT communication requirements for their target AWS applications. Inventek Systems: all your plumbing between the physical world and the internet! Excel Tech Inc., a demand creation distributor in South Korea & a subsidiary of Arrow Electronics, Inc., today announced a distribution agreement for Inventek Systems, an IoT platform solutions provider comprised of Wi-Fi, BT, BLE, GPS, and associated Combo-Radio options that are highly integrated with Inventek’s proprietary software to enable customers to achieve a user friendly and seamless implementation process for their IoT applications. Inventek’s IWINC (Inventek’s Wireless Interoperability Network for Clouds), provides a library of Cloud Agent software so that customers can configure their target eS-WiFimodule of choice to be cloud ready for any target cloud community (AWS, Lowes, Ayla, etc.). ABOUT INVENTEK SYSTEMS: Headquartered in Billerica, MA, Inventek Systems provides a wide range of standard and custom embedded IoT platforms ranging from low cost system-in-a-package (SiP) products to modular based custom solutions. We provide complete services from architectural consulting to full HW & SW custom design for cost effective high volume manufacturing. Inventek’s connectivity offering and IoT-ready solutions are enabling customers around the world to “get connected” with minimal design effort. To find out how we can assist you with all your IoT questions simply contact us. About EXCEL TECH: Excel Tech was established in 1993 and located in Seoul Korea. Well experienced sales and FAE team are focusing on potential customers in the Wired/Wireless Communication, Digital Consumer, Automotive and Computing application in Korea. Excel Tech is servicing Broadcom more than 10 years. Provides optimized service to meet customer’s various demands with professional human resources and well organized system. To learn more, simply visit www.excelt.co.kr. Macnica announces the integration of Inventek’s ISM43362-L36 2.4G Wi-Fi Linux SiP (SDIO), radio with Intel’s Altera Cyclone 5 SoC (FPGA+ARM A9), for a complete AWS IoT Platform! The ISM43362-L36 is an 802.11 b/g/n Wifi SiP which is designed for embedded wireless solutions and offers a cost-effective high performance Broadcom radio device (BCM43362). 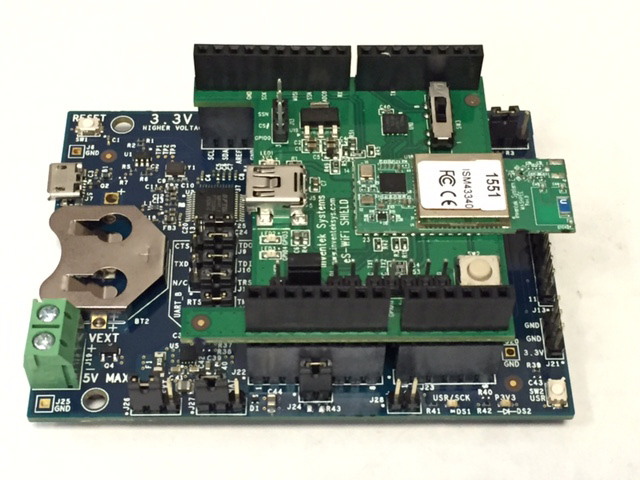 The ISM43362-L36 has a SDIO host interface for embedded Linux applications. 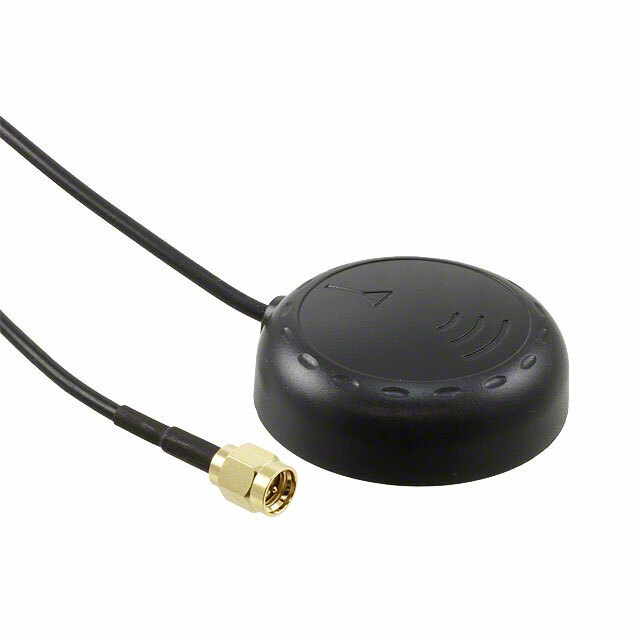 IEEE802.11 b/g/n antenna single-stream technology.